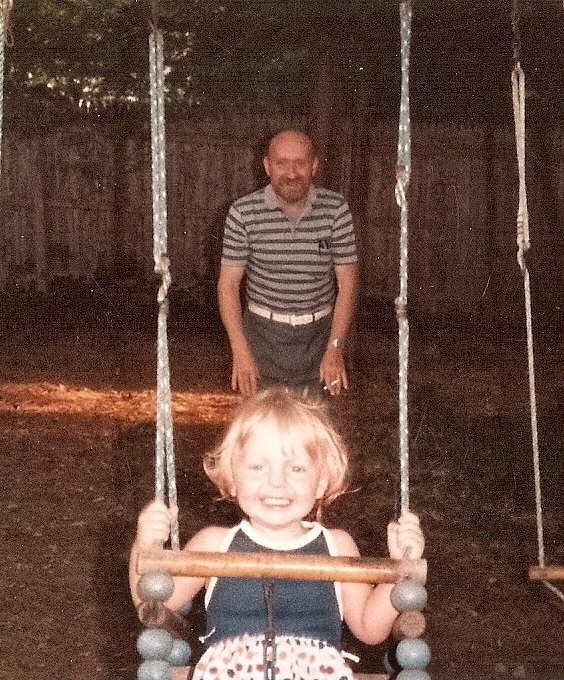 My grandfather, Thomas Lotze, pushing me on a swing, 1984. My friend and I talk about these strange things that happen after someone you love passes. We share these moments that transcend realms partly because it validates them, makes them less a figment of the imagination, somehow more real, if shared. And partly because it heals. 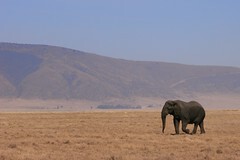 For my grandfather, this image is an elephant. I see them everywhere. My aunt had a license plate staring at her from the car in front of her that read: L AFONT. I sometimes pause for a long time at the bedtime pictures of elephants in my son’s books–and it seems each one has at least one elephant. The page will always swing open to it first, in any book, before the other pages. Perhaps I’ve creased it harder. I also saw more pregnant women when I, myself, was pregnant. I’m aware that the mind is always at work, but there is a magic, too. And no harm in believing. In class the other day, I shared the news that my grandpa’s piece was accepted for publication with my students. He was on my mind. Twenty minutes later, as class was ending, I described the upcoming assignment: that students would be required to experiment with the craft elements that poet Bruce Smith used in his book, Devotions. Only, I said, “You will experiment with the craft elephants–” and giggled before saying, “Let me try that again. Craft Elephants.” I’d said it again. The entire class laughed with me, and I simply said, “Elements. Craft Elements.” And excused my misspeak by explaining that my grandfather appears at the least likely moments. So here’s Grandpa’s literary debut, “File No. 209,” from The Diagram Magazine.